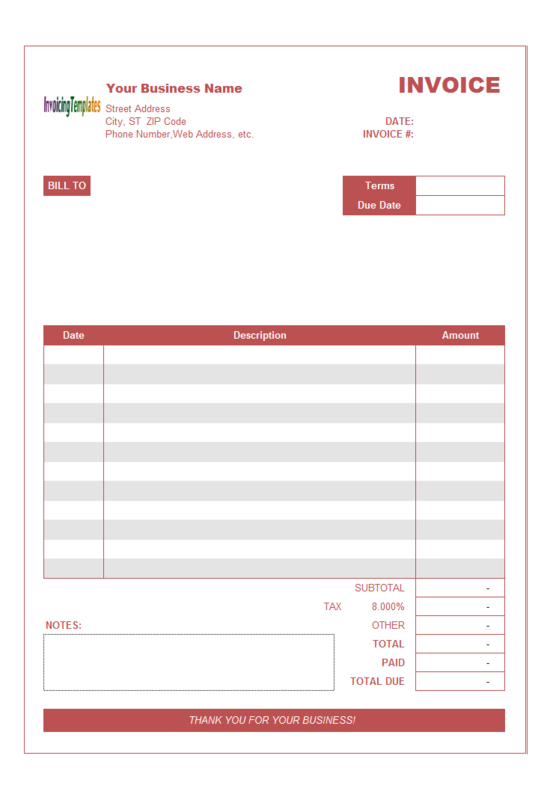 Excel Database Template For Invoicing is a sub-topic of . 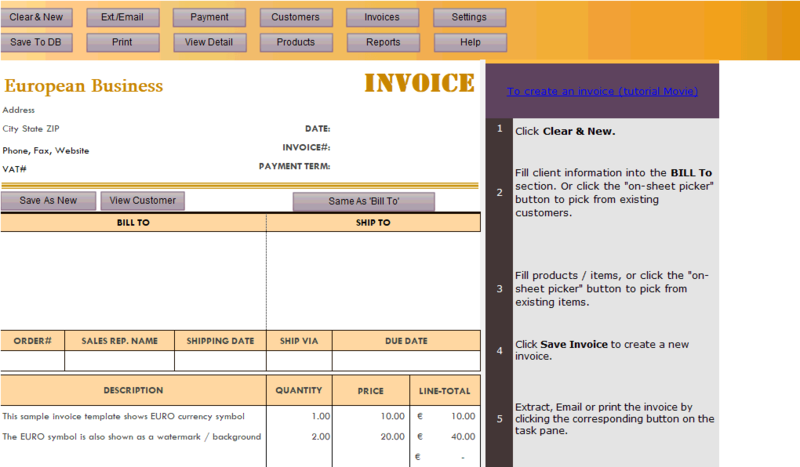 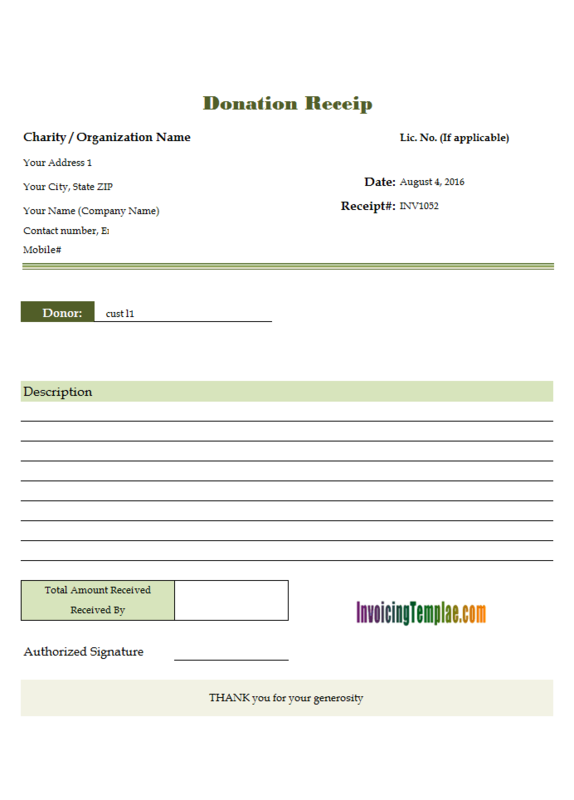 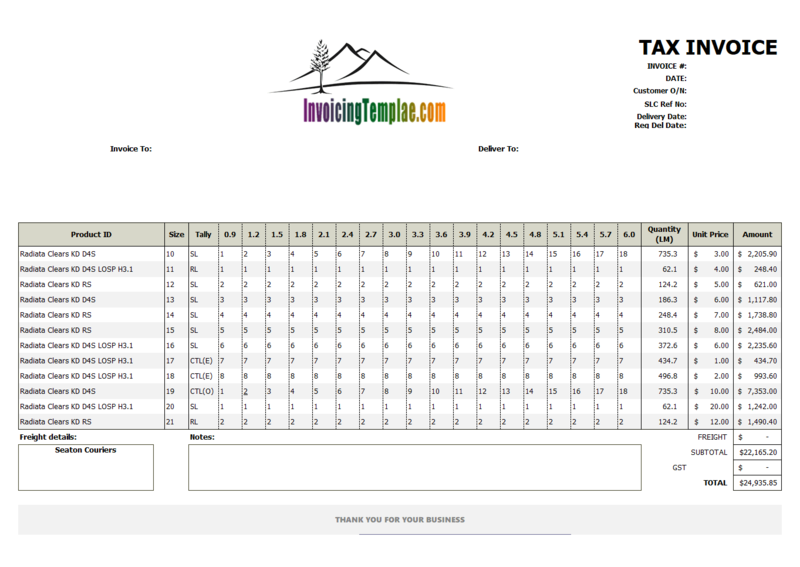 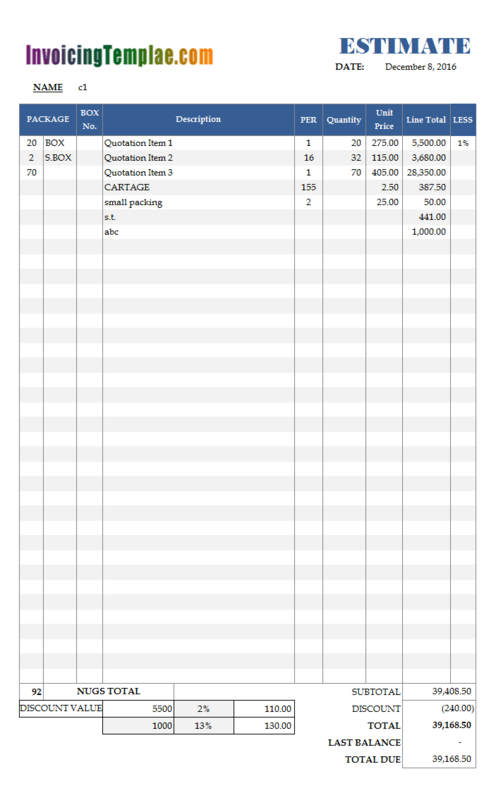 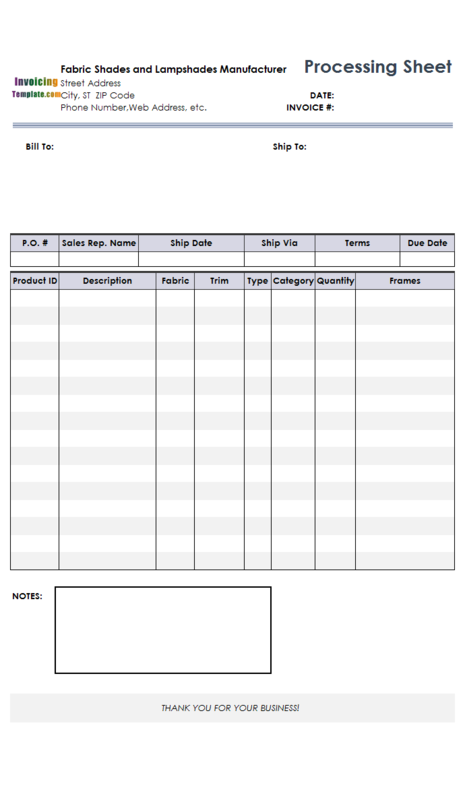 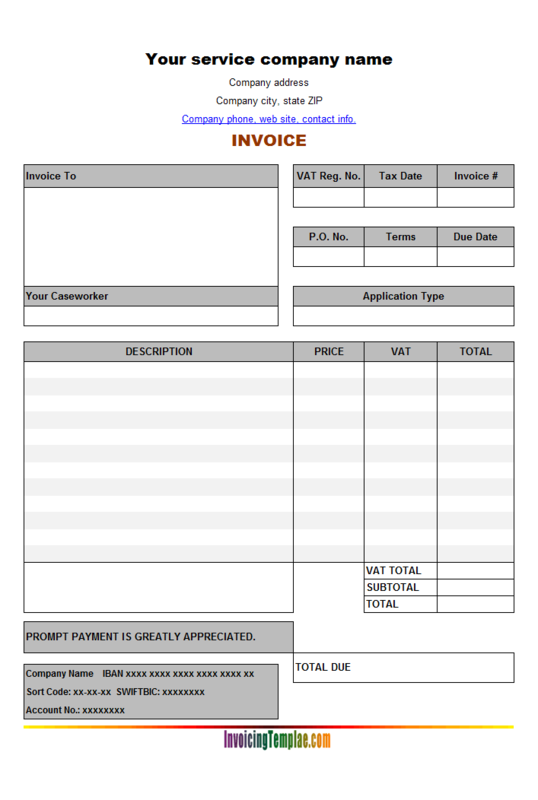 Here are our templates closely related to Excel Database Template For Invoicing. 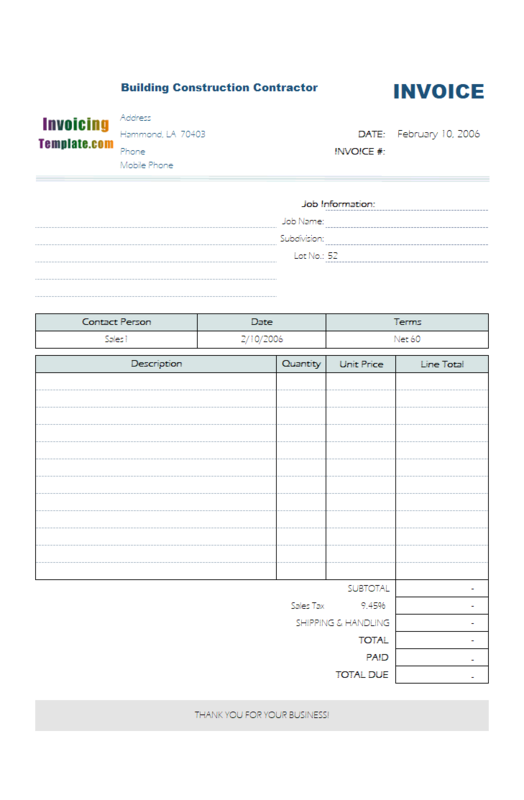 The formula for "Line Total" incorporates both the auto-calculated portion, and the manually fillable field ("oknLineTotalManual_?" 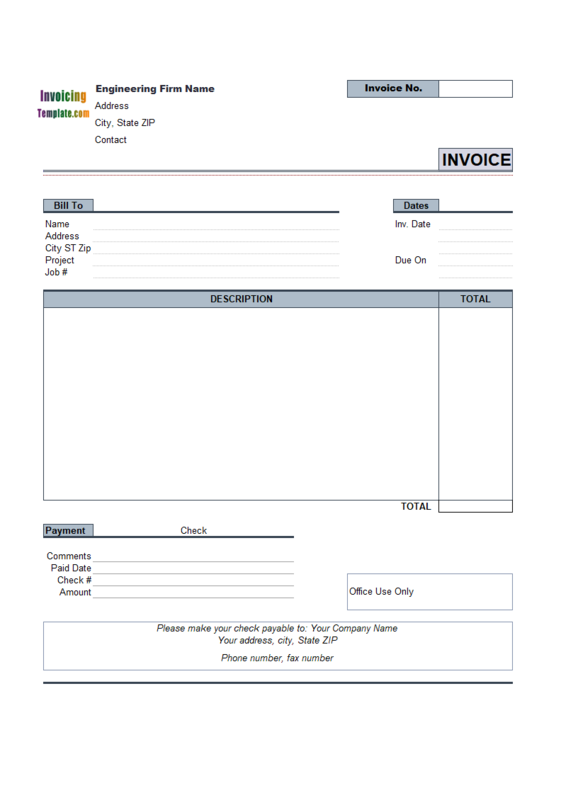 fields, placed outside the printable area, which means it is manually editable on creating invoices / estimations, but will not be included on printable invoices). 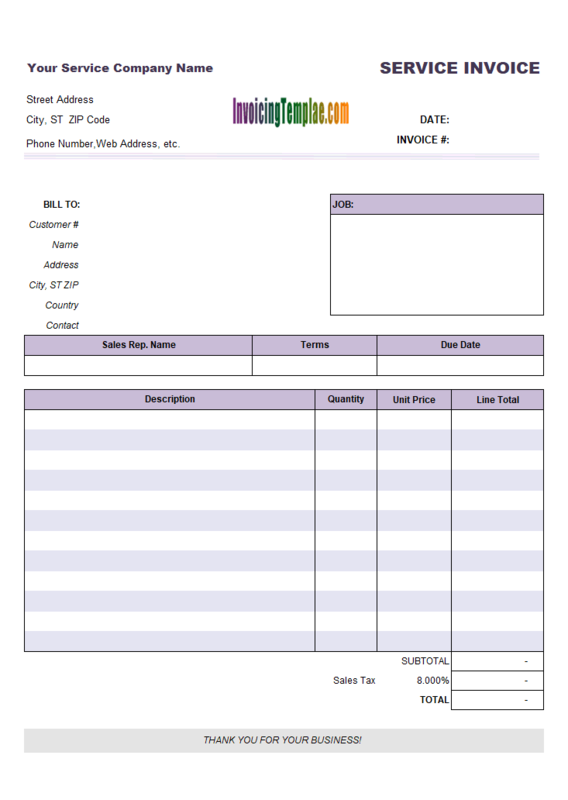 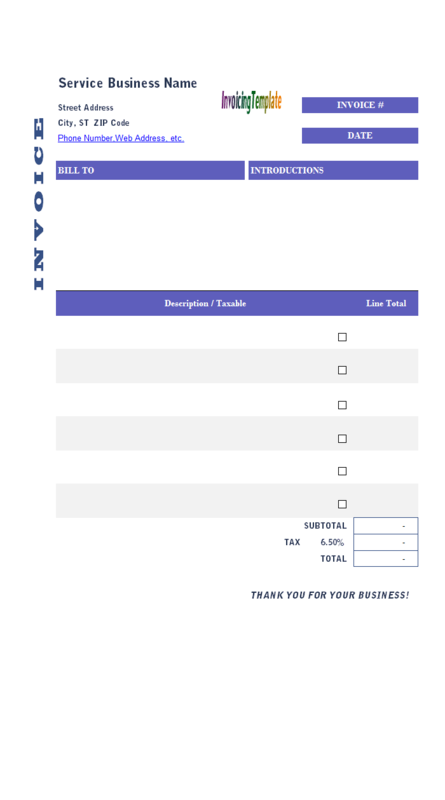 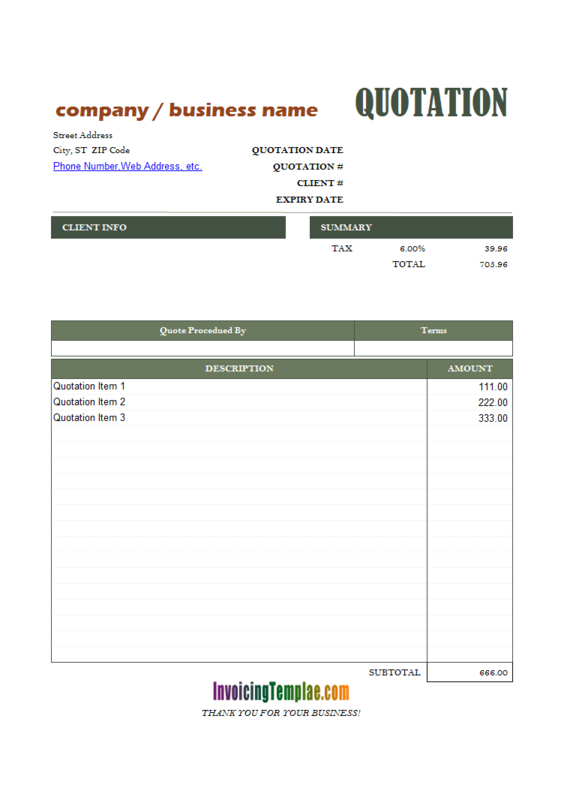 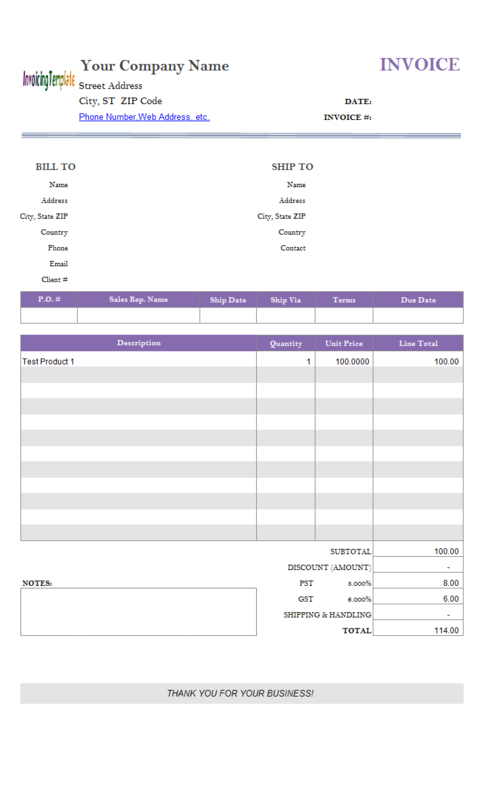 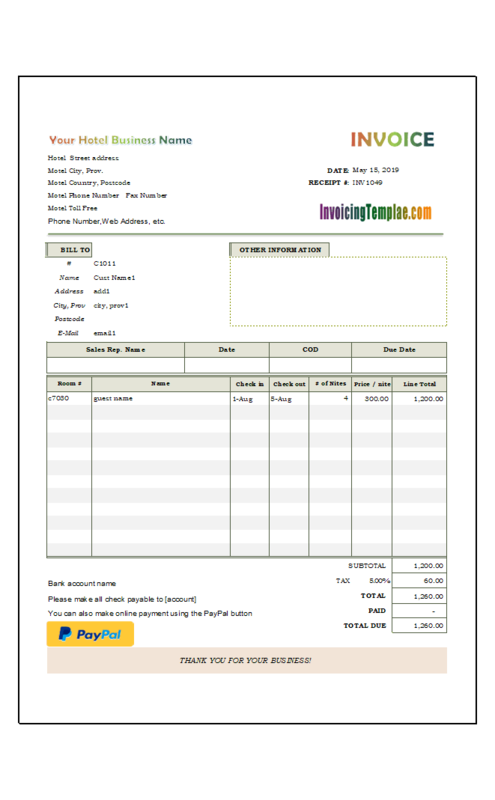 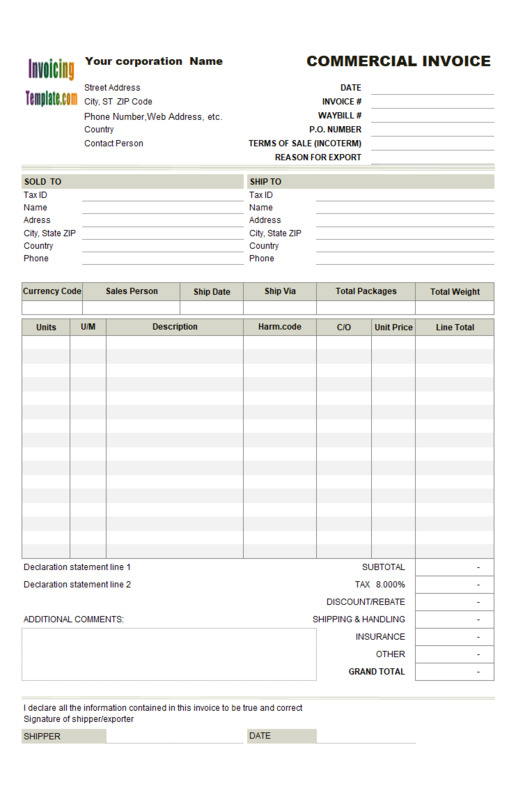 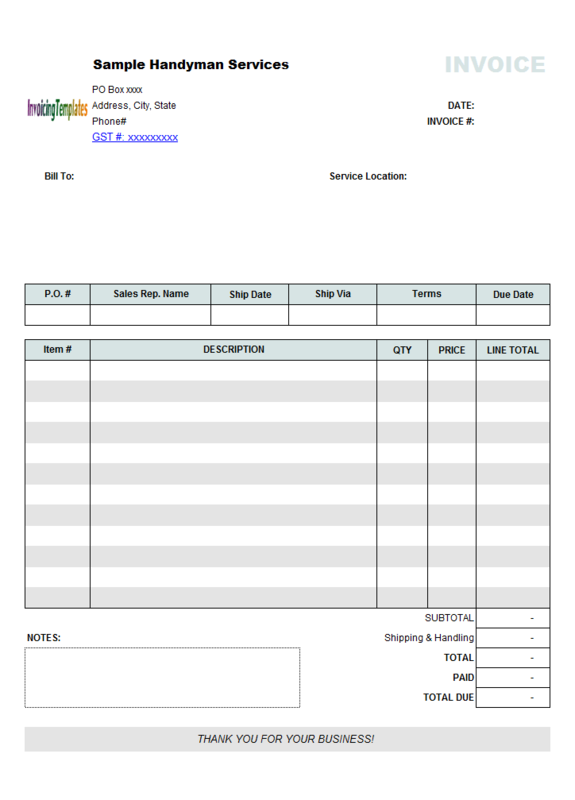 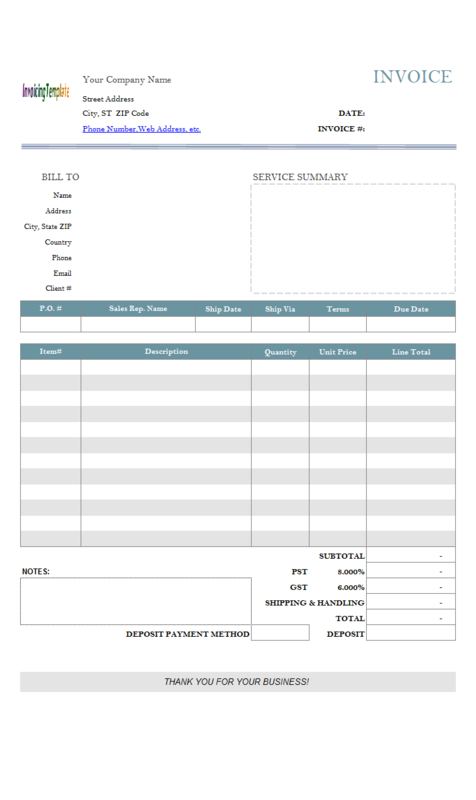 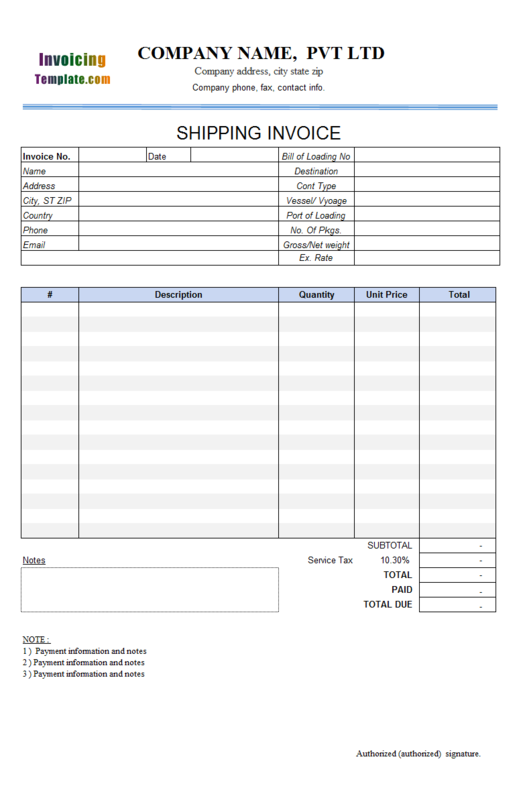 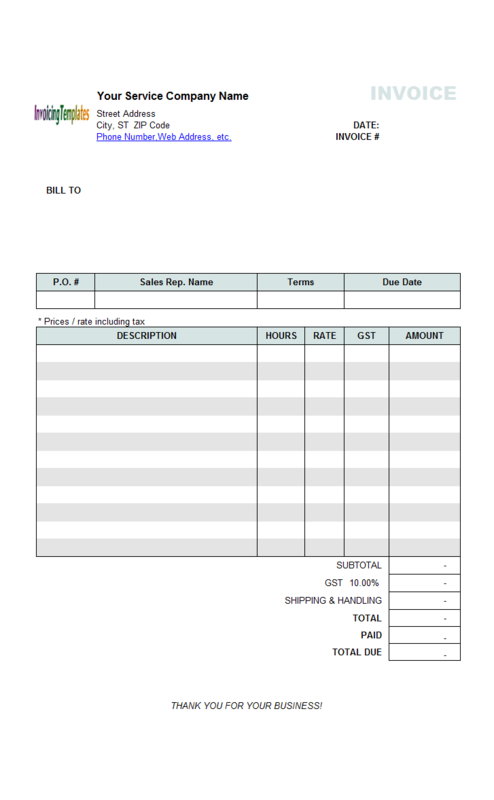 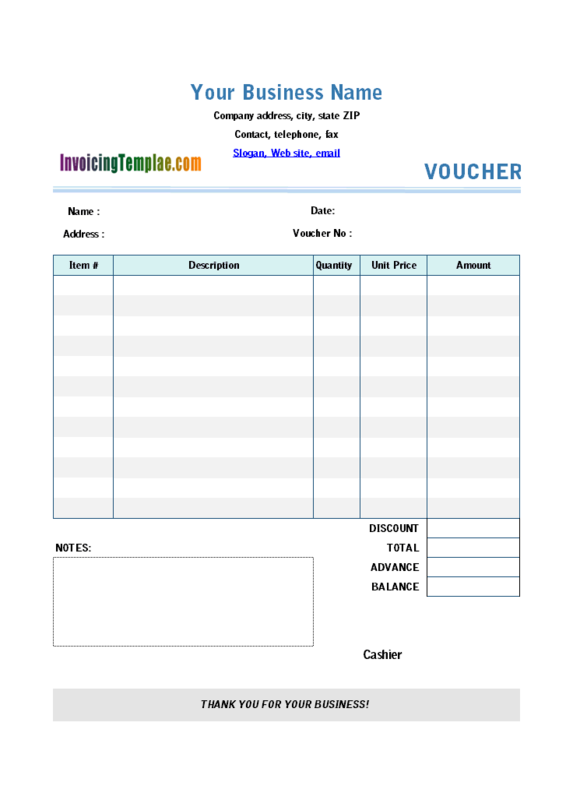 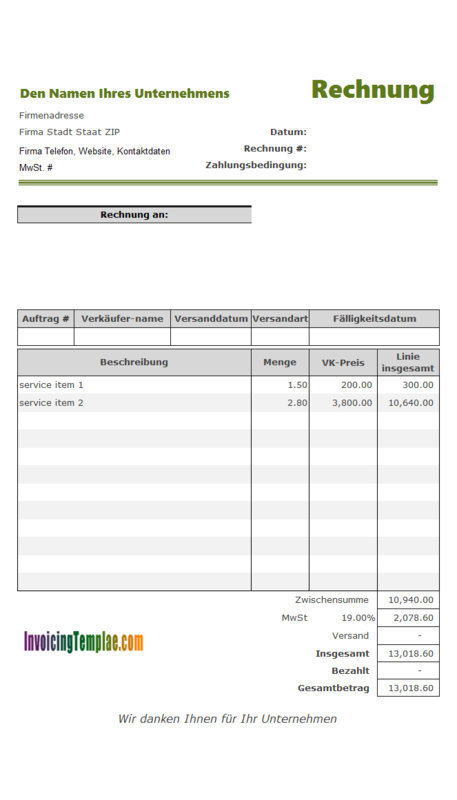 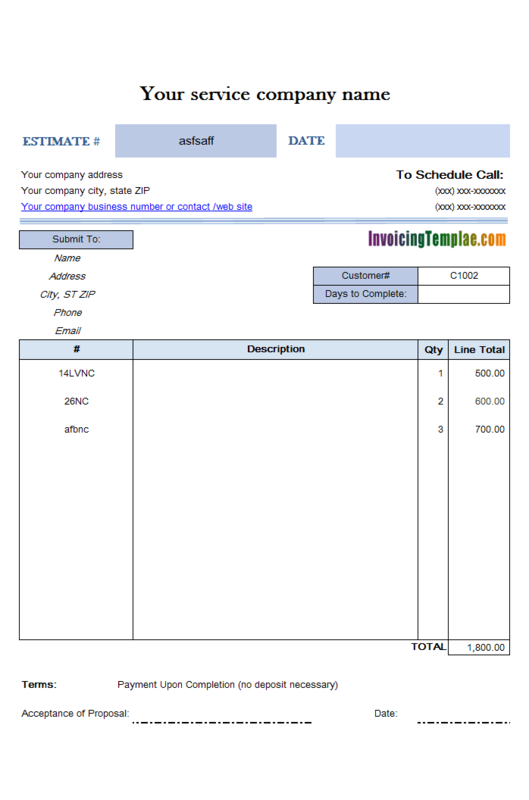 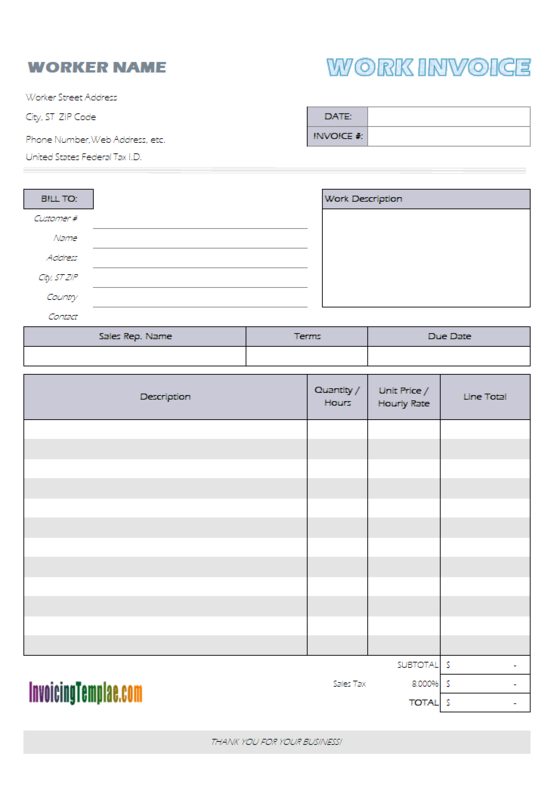 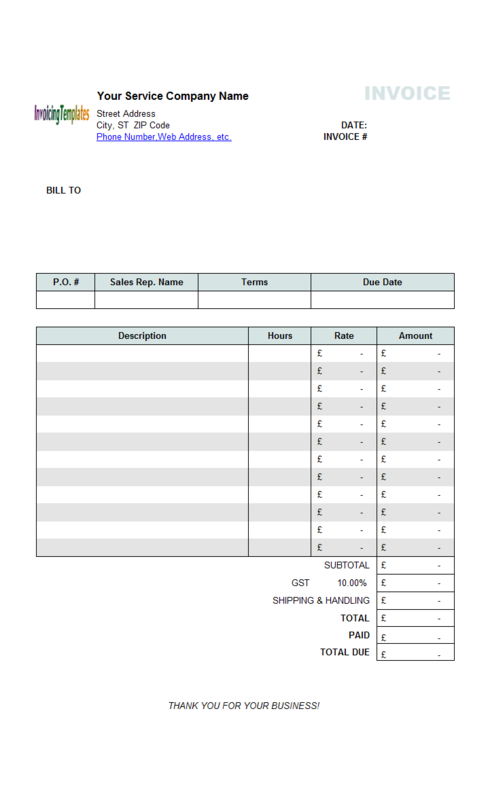 This free service invoice template differs from the general sales invoice template in that the service billing form does not contain shipping information. 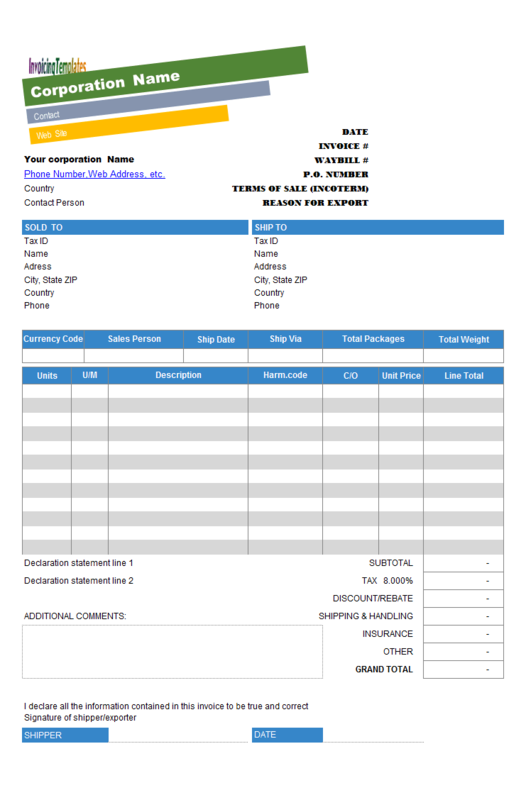 If you don't sell and deliver products then this template might be interesting for you. 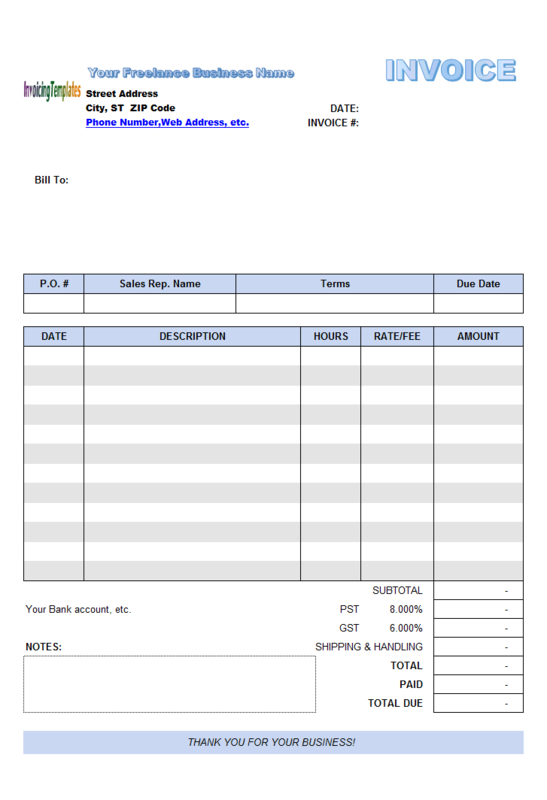 Now let's see the detailed steps involved to move back the "Total Due" cell and how to add the "Deposit" and "Deposit Payment Method" fields.